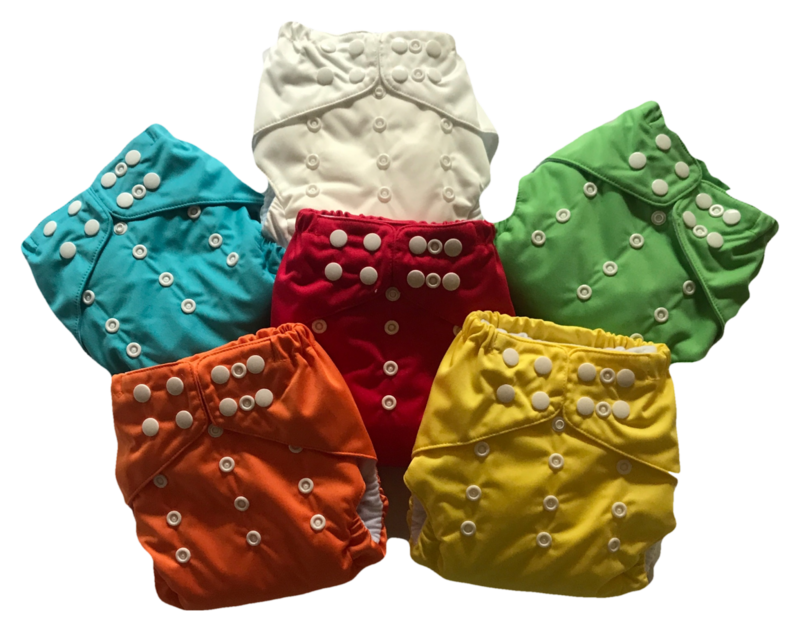 Save money and get all the cloth nappies you need with our 20 pack of dinky cloth nappies, each nappy costs only $18 each buy buying in bulk in our 20 nappy pack. 20 nappies is enough for full time use, and to wash every other day, so by buying this 20 pack you are buying all that you will need for full time cloth nappy use. Lets us know which colours from our great range you would like when you place your order with us. Alternatively you can choose to have one of all of our colours, as we have 6 colours in the PUL fabric. Usualy you can also choose between snap and velcro fastening, although these are currently out of stock, but will be back in stock shortly. Feel free to mix and match across our range of colours and fastenings (the dinky pocket nappy comes with both velcro and snap fastening) and make your dinky all you need cloth nappy pack just the way you want it. Each cloth nappy comes with a bamboo and microfibre, trifold insert. Called a trifold, because you fold it in three before stuffing the nappy in the wide and generous pocket. 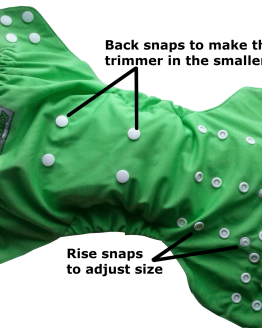 The insert unfolds flat for quick drying but is slim fitting and absorbent when in use in the cloth nappy. Our trifold inserts are absorbent and work really well, meaning that your baby will last longer between changes. 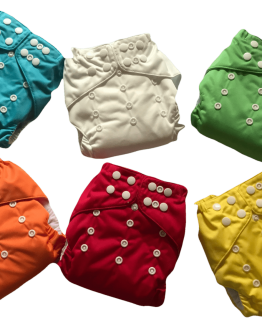 The dinky nappy has a range of features that ensure that it will fit a wide range of sizes. 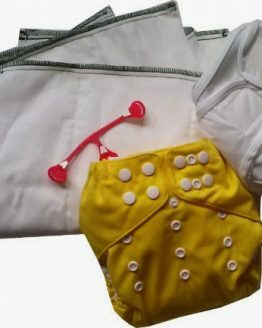 With snaps on the front of the cloth nappy to reduce the rise, or height of the nappy in the smaller sizes, and snaps on the back of the nappy to reduce the width, and create a trim nappy on smaller babies, this cloth nappy fits an even greater range of sizes than most OSFM cloth nappies. The dinky all you need cloth nappy pack will get you from birth to potty training. Our dinky pocket nappy is designed with deep leg gussets which help to create a waterproof seal around slim newborn legs, and still fit well on larger toddler legs. The depth of the gusset also helps to ensure that the nappy will not leak in this area. Designed right here in NZ.